A modern history of Vandals: why do they do it? VANDALS: why do they do it? 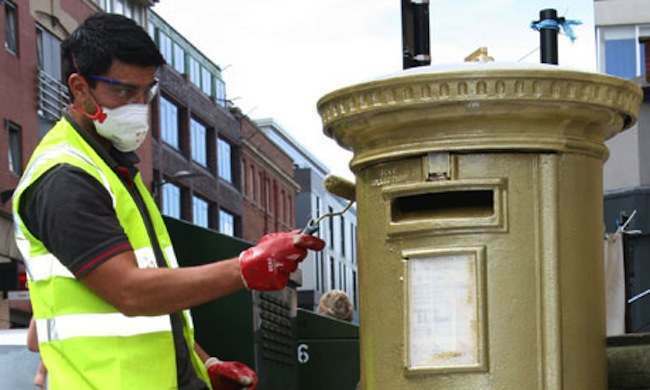 No sooner had the first golden post box been unveiled to honour Britain’s Olympic champion, than it was duly vandalised. Is this a new British record? 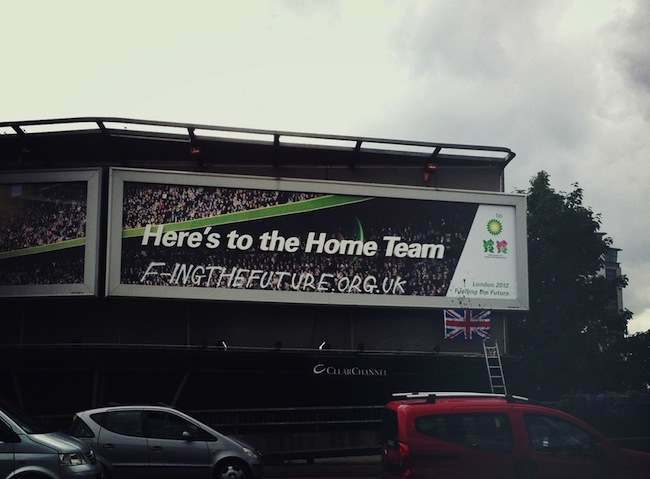 Not at all – this massive Olympics billboard was defaced within hours of its unveiling, and the flowers in the Olympic Park were swiftly trampled underfoot by the destructive forces of the Great British Public. WOMAN 1: Why do they do it? WOMAN 2: I know what I’d like to do to them! WOMAN: They just have to spoil it! MAN: It’s the same in the park. WOMAN: They knocked out all the lampposts. And who pays out? We do! MAN: I watched them doing it! WOMAN: Didn’t you say anything? WOMAN: Kids do as they please now! MAN: Look at the new underpass! WOMAN: What about the bus shelter? MAN: And how long had that been up? ANOTHER MAN: About a week! ANOTHER WOMAN: The police ought to do something. WOMAN: It’s the parents, isn’t it? MAN: We’re parents and our children don’t go round vandalising. WOMAN: We hope they don’t. We don’t always know where they are, all the time, do we? MAN: I blame the schools. WOMAN: It makes me so angry! ANOTHER WOMAN: Try telling them off and they laugh in your face. MAN: You certainly can’t reason with them! WOMAN: If there’s nothing we can do … I just don’t believe it! VOICE: There is something you can do. You need not give your name, but dial 999. You might save someone’s property. 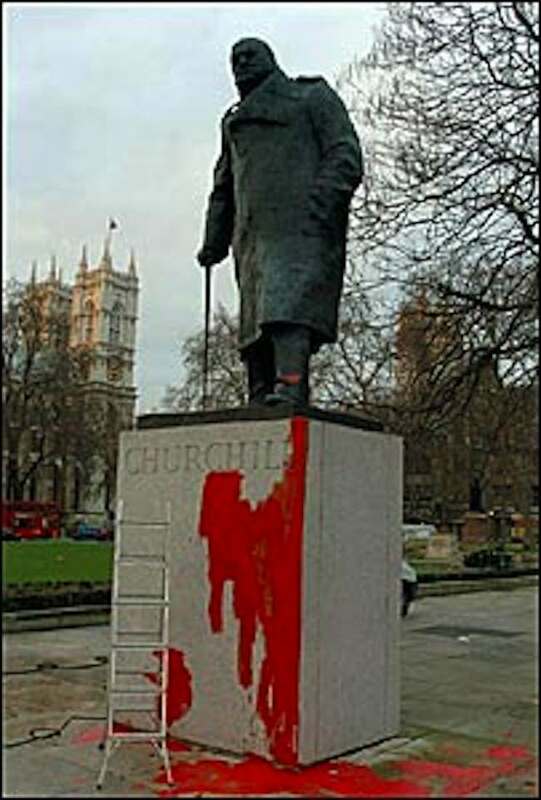 When it comes to vandalism, nothing is sacred, and Sir Winston remains a popular target for damage both at home and abroad. 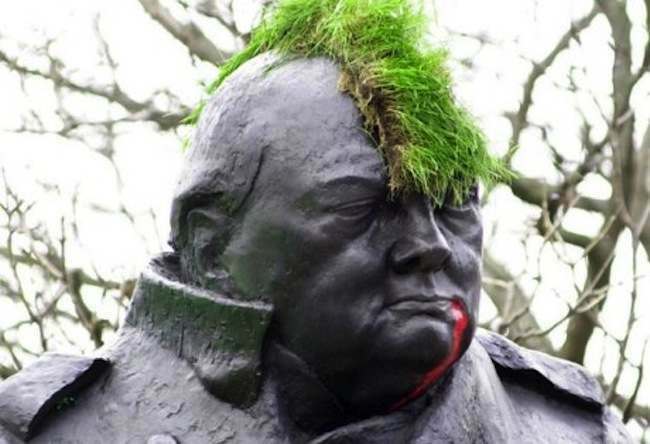 In particular, his statue in Parliament Square has been subjected to numerous indignities in the years since its installation in 1973, including a dousing in red paint and the addition of a grass Mohican during the May Day protests of 2000. Statues of Der Führer are unsurprisingly in shorter supply than those of Sir Winston, but when they do appear, the vandals move fast. 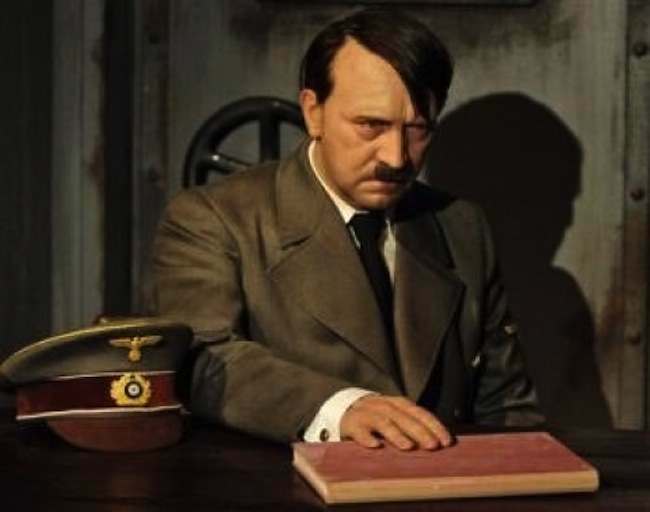 This waxwork at the Berlin branch of Madam Tussauds was beheaded on its very first day of exhibition in 2008. 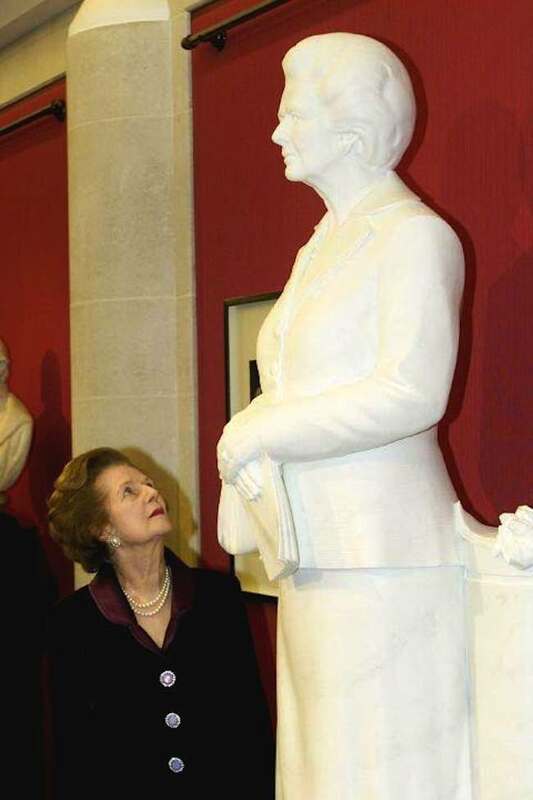 The controversial commission of a stone likeness of Lady Thatcher led to a change in the rules to allow statues of living former prime ministers to be displayed in parliament. But this didn’t happen in time to save it from a public beheading while on temporary display in a London gallery. ‘I haven’t really hurt anybody, it’s just a statue, an idol we seem to be worshipping,’ said Paul Kelleher, whose improvised weapon of choice was a heavy pole supporting the security ropes. ‘It’s what vandals do,’ commented Thatcher. It’s what they do, all right. But with a shake of the head, we ask once again: WHY OH WHY DO THEY DO IT?